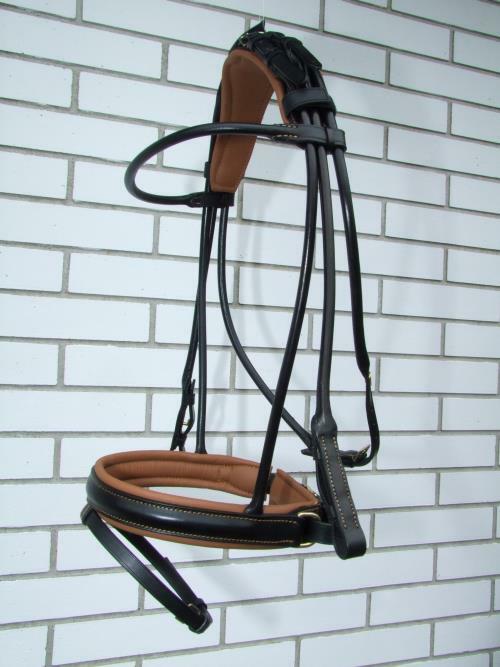 Rolled leather bridle from Otto Schumacher, one of the leading saddleries in the world. 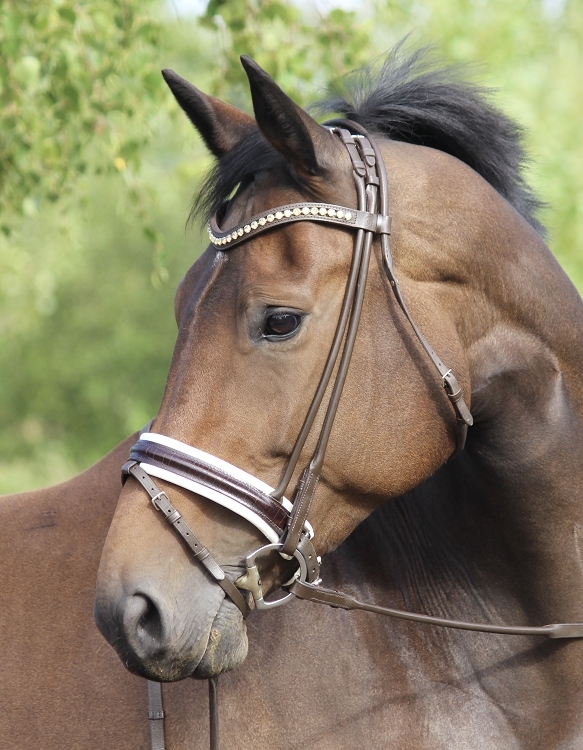 Only the best quality European leather is used to make these handmade bridles. 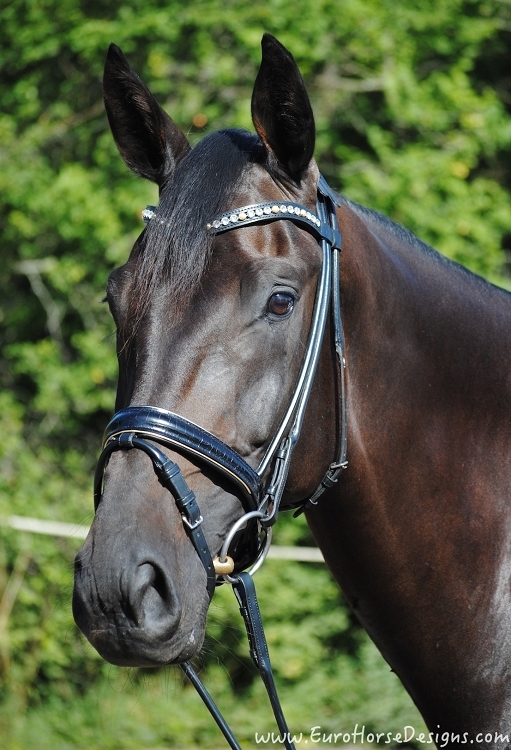 The rolled profile provide a sleek look on any horse. Quality to last a lifetime. 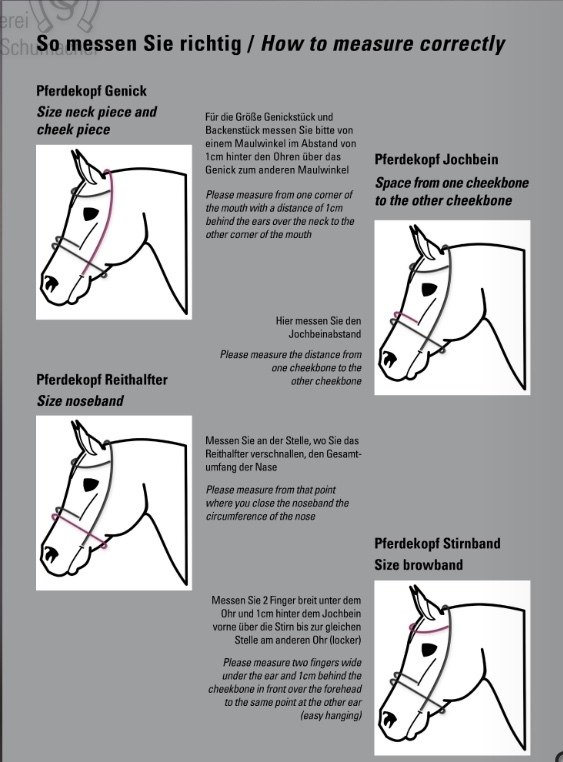 You can design the bridle with the type of browband, noseband, padding color etc, to suit your taste and your horse. Patent leather, croc optic and piping are options that will make your bridle extra special and turn heads everywhere you go. The 'Feel Good' option is extra thick padding of the pole and chin with no stitching for optimal comfort. 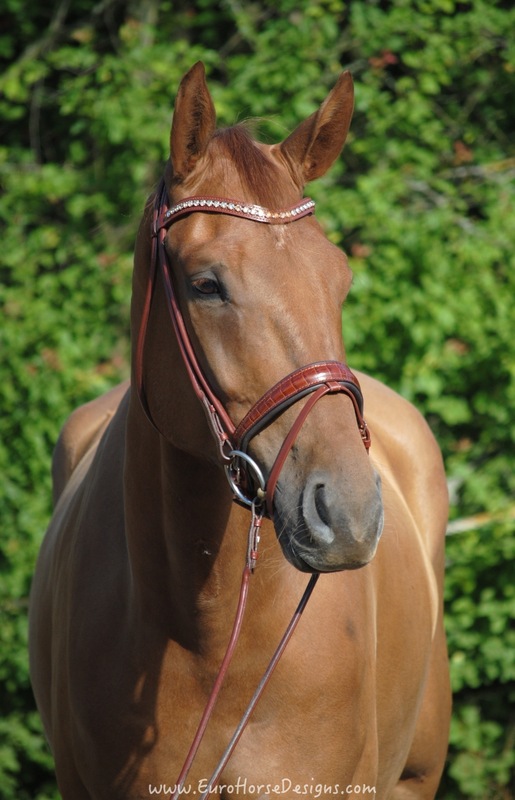 The crystals and pearls in the browbands can be designed in endless combinations so let your creativity rein. We are also always happy to help with color choices and advice when needed. 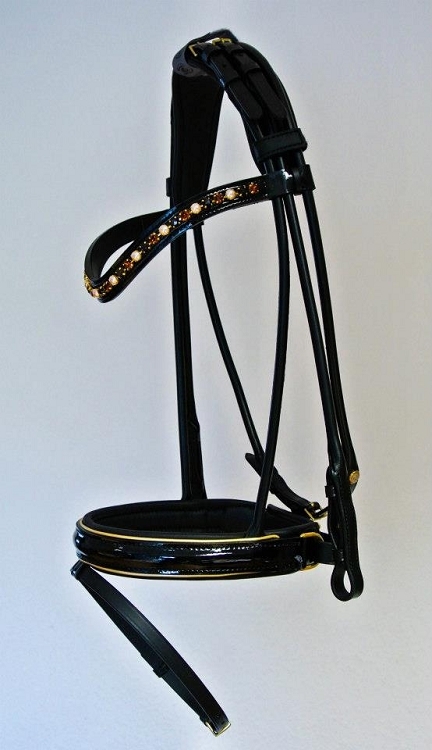 Q: Is it possible to order this with out a flash piece on an extra wide crank noseband? 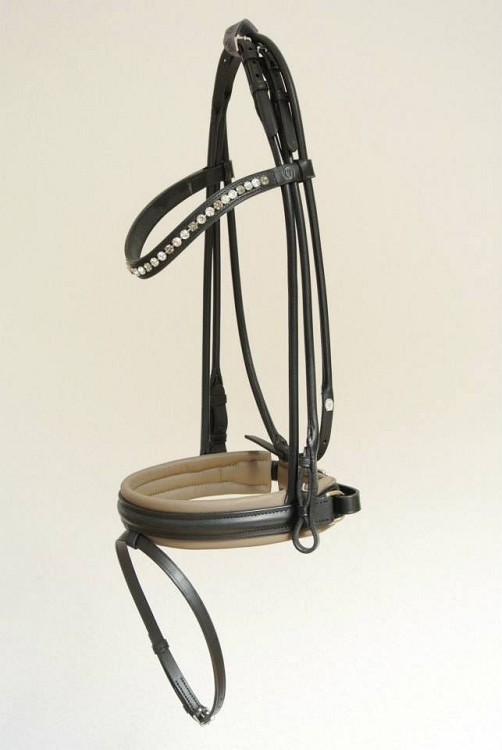 Yes, it is possbile to order the bridle with a caveson without the flash.